Dr. Eugenie Clark of Sarasota is known worldwide as “The Shark Lady”. Genie loves sharks…and fish…and people in general. As an explorer, marine biologist and teacher, she is a perfect example of the heights women can attain in scientific study. In 1955, she founded a small marine laboratory that grew to become the Mote Marine Laboratory in Sarasota, FL, now a national center for shark and marine mammal research. 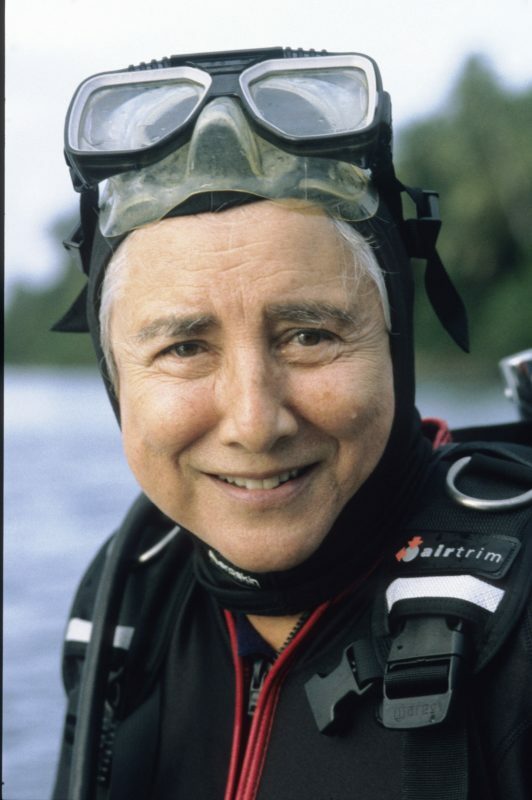 A Professor Emerita at the University of Maryland, she is the recipient of many awards for exploration, science and education, including her 2008 induction into the International Explorer’s Society. Genie continues to lead diving expeditions to many parts of the world in search of new knowledge about the nature and habits of ocean animals. She recently spent her 87th birthday driving a research submarine beneath the waves.